We used to own our things, but increasingly our things own us. The laws need to change to restore our traditional rights of property and ownership to the digital times. Property and ownership are among the most basic concepts of a modern society. Our ability to clarify who owns what separates us from savages because property and ownership help us maintain our independence and identity. The rules of property and ownership have evolved over centuries. There are clear transfer procedures for all types of property, including real estate, cars and even books. The problem is these age-old concepts are not holding up in our connected and digital world. Fairfield makes some important points about the role we are playing our changing world. By feudal model, he’s referring to a model where the king owns everything. Various dukes are granted the right to manage portions of land on the king’s behalf. The actual farmers doing the work were serfs. The comparison is stark but reasonable because our connectivity sells us out. The recent hack at Equifax is just one more example of our inability to control our personal information. Most of us are helpless in limiting who obtains access to our information and what they do with it. It’s a problem because our lives are increasingly digitized, and everything we do is on display in our digital trail. The easy example is the smartphone, which knows where we are, knows who we are with, and can deduce all kinds of behavioral preferences, such as dining and sleeping patterns. The smartphone is just the beginning. We are surrounded by products and services that monitor everything we do, including our thermostats, cars, credit cards and software services. It’s easy now for our providers to determine our political affiliations, intents and purchasing power, as well as that of our social networks. It’s no secret that privacy is dying, but Fairfield suggests the root cause it is the lack of control and ownership of the products we use and rely on. For example, used books are almost as old as books themselves, but you won’t find any used ebooks or audiobooks at Amazon. Why? Because you can’t actually buy them, thus you can’t resell them. When you “buy” a Kindle book or Audible book, you are really purchasing a right to access it, not own it. It’s not uncommon for that right to cost more than actually owning the physical book. If you own something, for the most part you can do with it what you want. When you rent, you are subject to terms and restrictions. Part of this started with anti-piracy intent. This is why, for example, at Target, which has a generous return policy, it’s OK to return an opened book, but not an opened CD or DVD. Digital content is very easy to duplicate. With free services, the provider monetizes the information it collects from customers. This is extremely common in the consumer space and expanding into business freemium services. Many people view this as a benign trade with the added bonus that companies like Google and Facebook serve us more relevant ads. But technology does not stand still, and this Faustian deal has progressed. In Owned, Fairfield cites examples such as Orbitz charging Apple Mac computer users higher rates and the fact that doing multiple searches for the same flight can cause the specific user’s price to go up. “What began as simple exchange — information for valuable goods and services — has escalated to exploitation,” Fairfield says. Fairfield raises concerning points about our current trajectory, and he proposes changes that bring traditional control and ownership to digital products and services, specifically the rights to modify, sell and use digital property without interference, plus the ability to control access to the digital products and services we purchase. 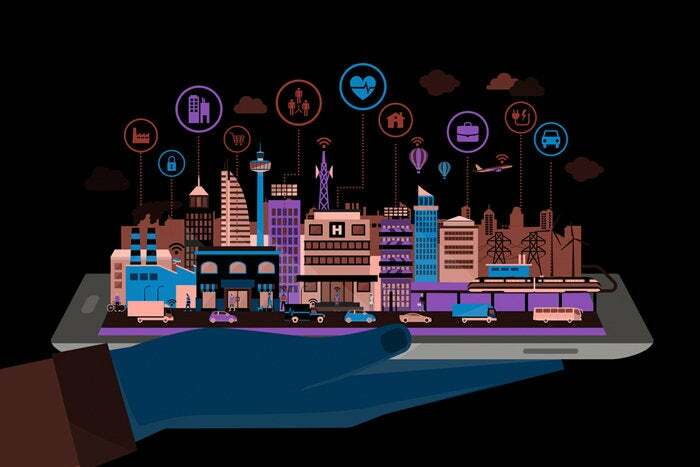 Fairfield concludes that these changes are inevitable, so people who are involved in the design of IoT products and services should embrace them now. The ability to unlock cell phones shows progress. Farmers are fighting for the ability to tinker with modern tractors. Courts are recognizing the theft of Bitcoin, and there’s so much anger regarding the Equifax breach that corporate penalties for improper safeguarding of information are back on the table. 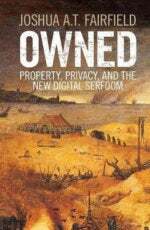 Owned presents a clear, well-researched case. Half of the value of the book is the footnotes. Anyone interested in defining the future of connectivity should take a look.